As you’ll soon see, sherbet and pastel hues are where it’s at for spring and summer. 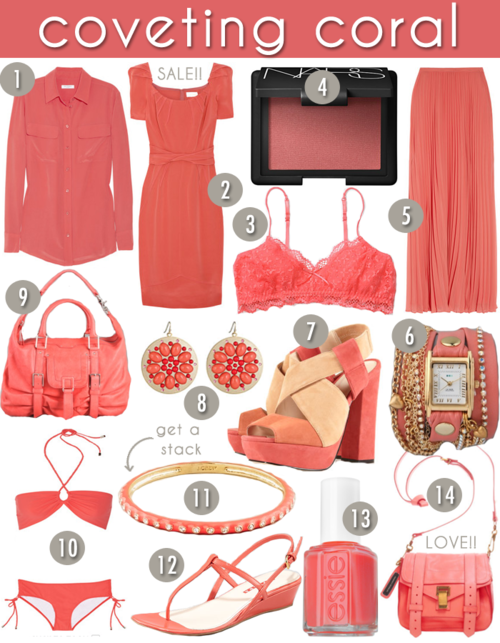 Stock up on some coral-colored pieces now – some are on sale from this summer, so you won’t find a better deal! !